When you need a grab bar installer, you can depend on Wise Grab Bars for high quality installation services and prices you can afford. 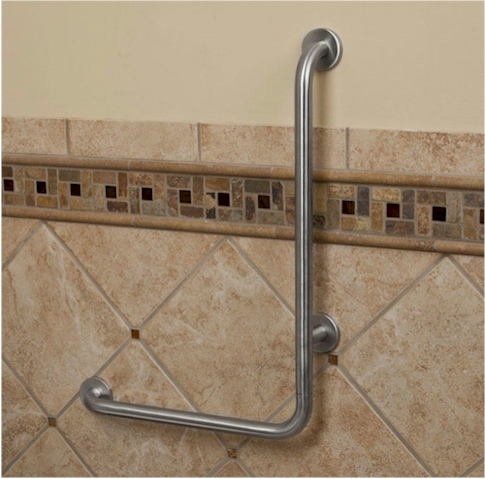 Installing grab bars can make life a lot easier for handicapped, injured, and elderly people who need something secure to hold on to when getting around or trying to get up. We believe our customers deserve top notch, dependable work. We treat our customers like family and go out of our way to ensure each and every customer is totally satisfied with our grab bar installation services. We take on all grab bar installation projects regardless of size for both residential and commercial customers. We can install grab bars in bathrooms, bathtubs, showers, and wherever else you may need them. We have built a reputation as the leading grab bar installation company in the area because of our quality work, affordability, and superior customer service. Our goal is to start every project on schedule and complete each project in a timely manner. So if you want a great deal and the best grab bar installation service around please give us a try and we will take care of all your needs. Please fill out our simple contact form so we will can get back to you fast with a free quote for our services. Let us take care of all your grab bar needs. We can take care of your grab bar needs. Fill out our contact form for a fast quote.